A sentimental, feel-good drama about redemption, Regarding Henry may go for the easy emotions but it delivers on all its objectives. In Manhattan, Henry Turner (Harrison Ford) is a star corporate defence attorney, specializing in ruthlessly defending large companies against lawsuits from the little people. Married to Sarah (Annette Bening) and father to Rachel (Mikki Allen), Henry is abrupt with his family, obsessed by work, and generally not a pleasant man. Out to buy cigarettes one night, Henry stumbles into a robbery-in-progress and gets shot in the chest and the head. He survives, but slips into a coma and part of his brain is damaged. He wakes up having lost most of his memories and motor skills. A long period of rehabilitation follows, and Henry establishes a close connection with Bradley (Bill Nunn), his primary rehabilitation specialist. Once he regains tentative abilities to walk and talk, Henry returns home. He needs to reconnect with Sarah and Rachel and rediscover his role at the law firm, now with a new perspective on the world. Directed by Mike Nichols and written by J.J. Abrams, Regarding Henry does not pretend to be anything other than a straightforward story about a new start in life. With the big reset button forced upon him, Henry gets to stare at his life with child-like wonder, and uses his second chance to eject the bad and embrace the good. With a clean slate, differentiating between the two comes easily, and Nichols does not stray far from the theme that right and wrong are clearly distinguishable with a fresh set of eyes. The two quality central performances add to the film's appeal. 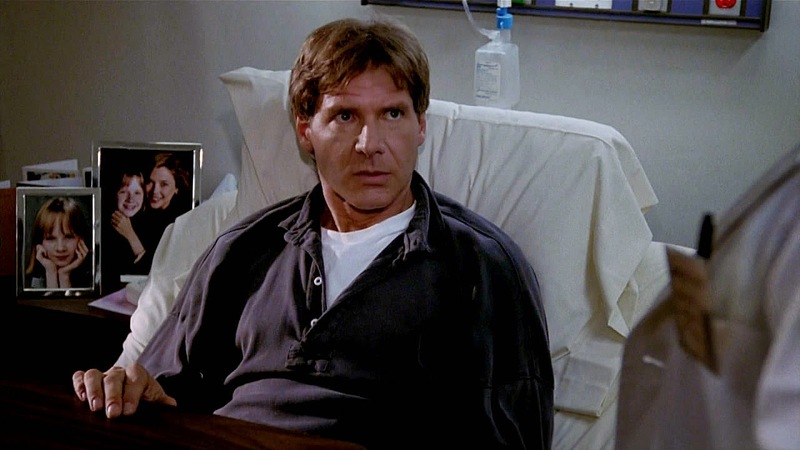 Harrison Ford, here at his prime, has rarely been better in a dramatic role. He allows Henry's rebirth to sometimes slip too far into child-like innocence, but he generally transforms Henry into an extremely likeable and unlikely hero for the goodness that resides in the uncorrupted human spirit. Annette Bening quickly hits her stride, and thrives in the difficult role of a resilient wife enduring the near-death and then transformation of her husband, while managing some personal blemishes of her own. In addition to the lively Bill Nunn, the supporting case includes Rebecca Miller, Bruce Altman and Donald Moffat as Henry's colleagues at the law firm. Other than the warm embrace of its own message, the movie works thanks to the infectious positive tone that permeates through the second half. Once the rehabilitation starts Nichols and Abrams look for the small victories of a human spirit reemerging from a broken shell, and celebrate the small moments from Henry walking, to Henry talking, then graduating to learning to love Sarah again and establishing a new bond with Rachel. There are mild surprises and set-backs along the way, but nothing that threatens the green shoots of a life re-born. Regarding Henry shines thanks to its stubborn optimism.